AGS Entertainment founded by Kalpathi S Agoram, Kalpathi S Suresh and Kalpathi S Ganesh are producing Vijay's upcoming film tentatively titled Thalapathy 63. Atlee will be wielding the directorial hat which will have the likes of AR Rahman for music, GK Vishnu for cinematography, Ruben for editing, Muthuraj for art direction and Anl Arasu for stunt direction. 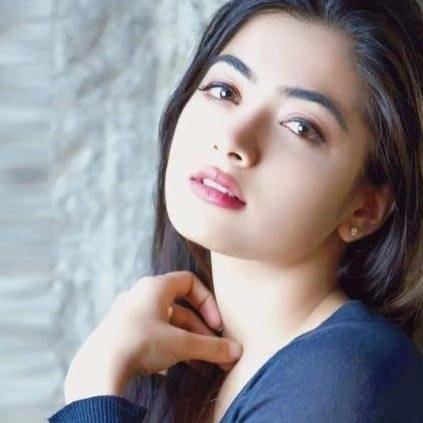 Earlier it was speculated that Rashmika Mandanna will be playing Vijay's pair in Thalapathy 63. Now even after the makers announcing that Nayanthara has been roped in to play the female lead, the rumour doesn't seem to stop. Rashmika has now come out with a clarification note - "A lot of you have been asking me if I am a part of Vijay sir's and Atlee sir's film but since that's not happening this time I hope I get to work with them soon. I am so overwhelmed (like literally) to see such support from all of you. I will definitely make a debut there soon..) love you all very much..I again just want to say 'nandri' for all the love.."
People looking for online information on Rashmika Mandanna, Thalapathy 63, Vijay will find this news story useful.